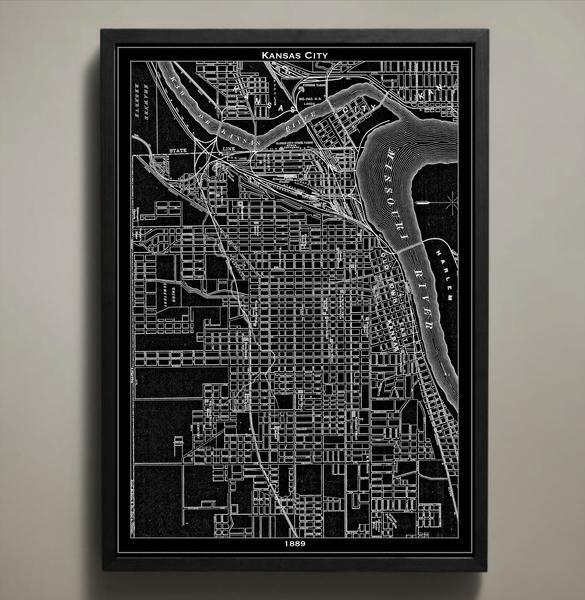 Geo Artshed specializes in rendering historic map prints of significant cities. Made in KC offers both a black and white version of their "Kansas City, 1889" print in two different sizes. These maps are a flawless, minimalistic touch for any wall.